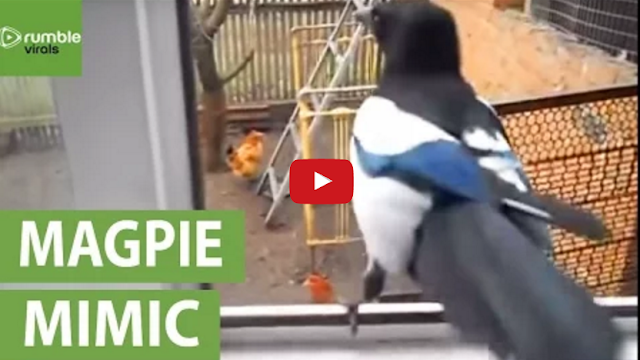 When this magpie "laughs" he sounds unmistakably like a giggling toddler. The friendly bird was rescued and raised by a woman who found him abandoned on the ground. She eventually set him free, but he still stops by for the occasional visit.